Zombies have taken over the town and they're EVERYWHERE! Can you be the first to escape the town and get to safety? The player with the lowest number of zombies following them after five rounds wins and successfully escapes the town. Zombie Run! 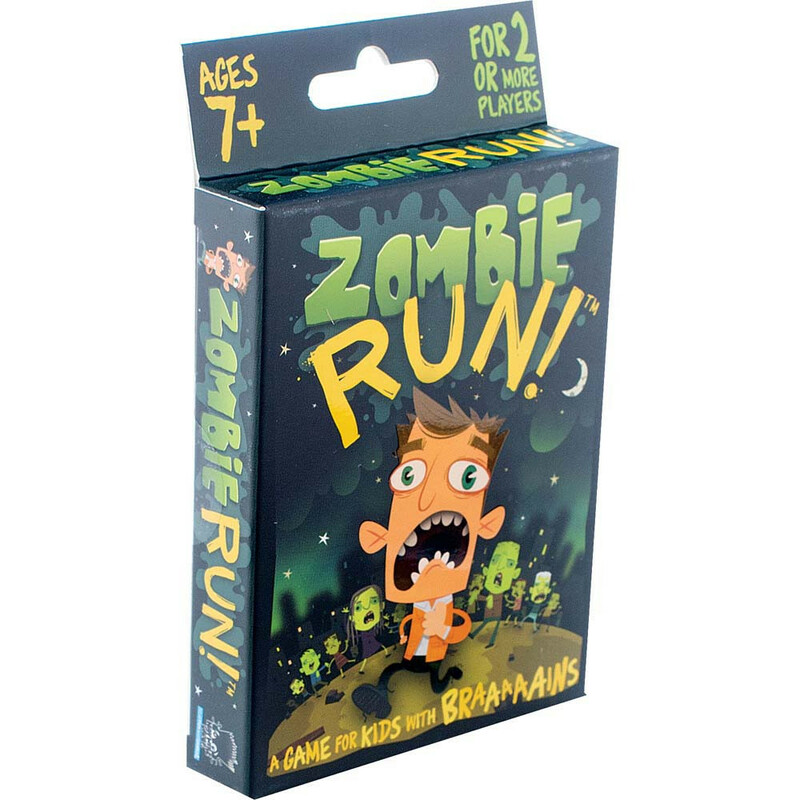 combines memory with luck and is the ultimate card game for kids with BRAAAAAAAAAAAINS!!! We LOVE this game!